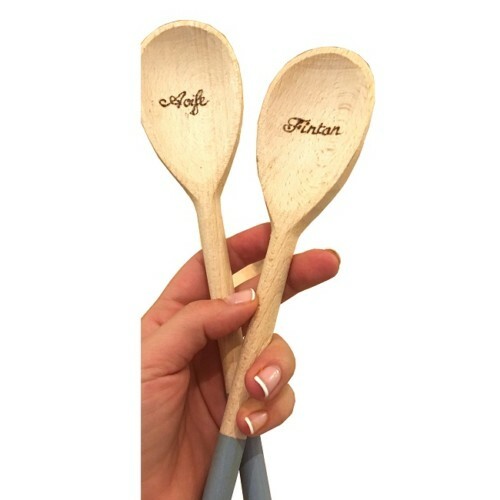 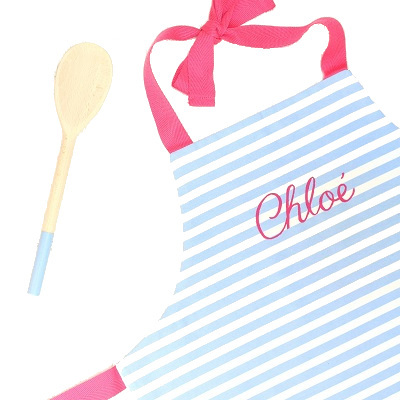 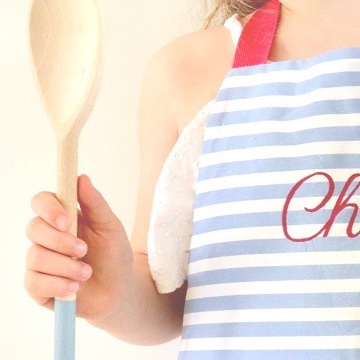 If you are looking for kids cooking aprons look no further, we have here beautiful products. 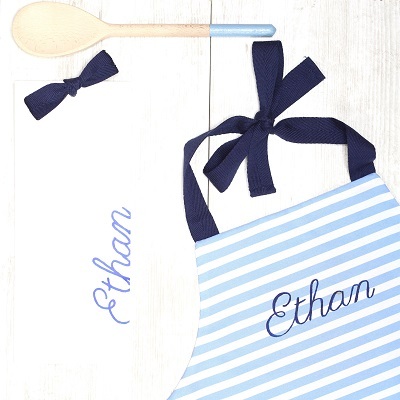 Whether you are looking for a toddler apron, a girls apron or a boys apron you will find what you need. 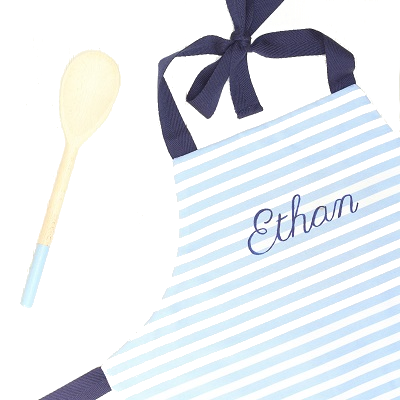 100% cotton, they look stunning and they can be personalised with the child’s name!